Have you outgrown your hosting? Or do you have a specific requirement? Then a cloud server will be the best choice for you. Buying a cloud server (VPS) gives you more freedom, control and stability than a dedicated server for a fraction of the price. Larger options are available during the order process. As soon as the invoice is registered as paid you will recieve the necessary information to start using your virtual server. You get access to Virtualizor control panel where you can control everything related to your servers. You have full access to reboot, VNC/console and much more. We guarantee all clients 99.9% uptime on our virtual servers. 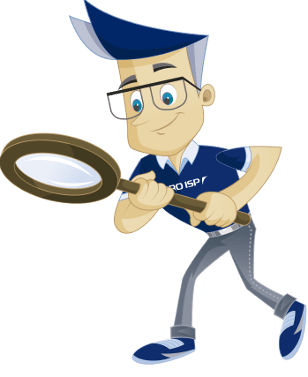 With PRO ISP you can rest assured that you will not lose clients because of an inaccessible service. We deliver low prices and top quality independent of contract. We will show us worthy of your trust 24/7 so you will never want to leave us. You can cancel your services at any time. You can choose between many server templates for any typical OS. You have access to upload your own ISO file and install any operating system you would want. What you can do through the control panel you can also do through API. Connect the management of your server to your own system as you wish. PRO ISP is so sure that you will be 100% satisfied with our services that we offer a 30 days money back guarantee. If you are not satisfied with our service we will refund your money. Backup is performed once per night or by using the control panel whenever you want to. One backup of the server is included in the service. Restore from backup whenever you would want.